Clare shared the spoils for the second consecutive time today as they finished all square in St. Patrick’s Park, Enniscorthy. James Murrihy’s side kicked three of the last four points to ensure they remain undefeated but overall, this contest will feel like two points dropped. While major underdogs last week against Kerry even if they were in a winning position, the Banner were expected to take the win against the Slaneysiders but couldn’t get on top of their determined hosts. Wexford led by four points in the first 20 minutes against the wind before Clare started making inroads into the deficit. Niamh O’Dea and Grainne Nolan were among the scores leaving it 1-2 to 0-4 at the break. The hosts were strong favourites after the restart but Clare used their experience to keep the contest tight. And despite trailing by 1-4 to 0-5, they found a way to get the equaliser. 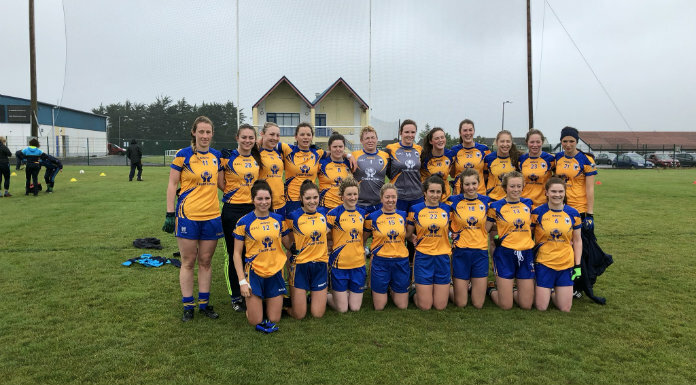 Wexford: Mary Rose Kelly; Niamh Mernagh, Marica Cullen, Aoife Tormey; Clara Donnelly, Shauna Murphy, Sarah Harding; Kellie Kearney, Bernie Breen; Niamh Butler, Fiona Rochford, Niamh Moore; Amy Wilson, Maria Byrne, Tara Doyle.